opendorse, the leading athlete marketing platform, today announced the launch of a new solution allowing college athletics programs to help student-athletes build their brands by sharing content on social. 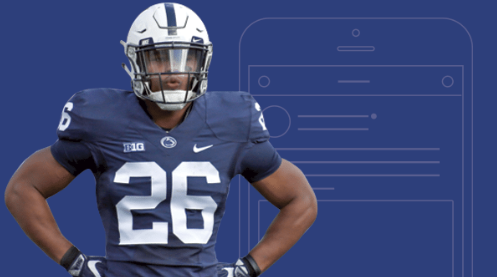 With opendorse, collegiate athletes can share content from their school to their personal social channels with the tap of a button. The tap-to-share solution makes opendorse the first athlete-driven content distribution platform in the college athletics space. Several top college athletics programs first partnered with opendorse to trial the student-athlete solution in fall 2017. The programs, including UCF, Auburn, and TCU, use the software to share highlights and images from games and events, team graphics, and additional program-focused content with their student-athletes. More than 400 student-athletes participated in the beta program, generating 16.6 million impressions, 3.2 million video views, 1.6 million engagements on posts shared on Twitter, Facebook, and Instagram. After achieving overwhelmingly positive results with the properties and athletes alike, the company is now welcoming a limited number of forward-thinking athletics programs. More than twenty college properties represented in each of the “Power Five” conferences, Conference USA, and the Horizon League are committed to, or are currently using opendorse to help their athletes and athletics staffs share content on social. These schools seek to replicate the growth experienced by student-athletes in the pilot, where participants averaged a 22.9% increase in total followers in the first six months of the trial. With the new solution, student-athletes in all sports will finally be provided access to easily share the captivating content they create within the lines of their sport and on campus. As a featured program, the University of Central Florida (UCF) was one of the first properties to sign on with opendorse during the fall 2017 trial. Once on-boarded, athletic programs will be given the tools, strategy, and support to maximize media assets by helping student-athletes share content on their social media channels with the tap of a button. Each program will receive its own platform dashboard to manage its roster and measure results for each athlete and post.